A newly discovered planet is believed to be the top contender for being like Earth. US astronomers have found Gliese 581 g, roughly 20 light years away from Earth. Scientists say it has a rocky landscape with the presence of a gravitational force. The planet, which was discovered around red dwarf star Gliese 581, orbits at the right distance from the star to let water remain liquid rather than freezing solid or boiling away. This is crucial for life. Scientists looked at just nine nearby stars when they stumbled upon Gliese 581 g. This implies that Earthlike worlds are extremely common. Non-profits in Mozambique have petitioned parliament to challenge a six-month authorisation granted to an aluminium giant to emit potentially dangerous fumes from its smelter into the air without treating them first. The protestors said the decision was based on insufficient information about the smelter’s impact on human health and environment. Nearly one million people live within two kilometres of the smelter. The government had given BHP Billiton’s Mozal smelter, outside the Mozambican capital Maputo, the go-ahead to bypass two fume treatment centres at its carbon plant. This means compounds, including hydrofluoric acid and sulphur dioxide, which can cause hypocalcemia, cardiac and respiratory arrest, and death, will be released. A group of 38 nations and several international groups have launched the Global Methane Initiative to reduce emissions of methane. The initiative will aim at curbing the emissions by treating waste water. It is believed to be responsible for 9 per cent of anthropogenic (manmade) methane emissions. It also will shift the focus of nations from simply collecting methane that is emitted to preventing it from being created. Methane is a greenhouse gas that provides clean energy. An insecticide produced by genetically modified corn has been found in streams in the US midwest. A quarter of the 217 samples of stream sites in Indiana showed the presence of protein Cry1Ab, the toxin expressed by GM corn. Corn is made to produce the Cry1Ab protein by adding a gene from the soil bacterium Bacillus thuringiensis. It kills crop pests, such as the European corn borer. These corn byproducts could alter the health of freshwater bodies. The insecticide enters waterways through runoff and when corn stalks, leaves and other parts are washed into streams. According to the US Department of Agriculture, Indiana grows about 8 per cent of the US corn crop. Following the BP oil spill, the US government has announced rules to upgrade the safety of deep-water oil drilling. The rules address many criticisms of how BP drilled and secured the Gulf of Mexico well. One rule calls for a workplace safety system to identify hazards and reduce human errors. It also makes it mandatory that each rig has an oil contingency plan and conducts drills to practice it. Other rules require that equipment intended to prevent a well blowout is strong enough to do the job. Another rule prescribes how cement and drilling fluids should be used to maintain the well bore and raises standards to shut flow of oil and gas in case of emergency. Regulators, however, retained a five-month-old moratorium on deep-water drilling in the Gulf of Mexico despite heavy lobbying by industry and Louisiana economic boosters. 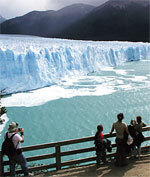 Argentina has introduced a law that restricts extraction of minerals, oil and gas near glaciers. Argentina is home to the largest glaciers in South America. But these are threatened by climate change and industrial activity, particularly mining, which has multiplied drastically in the last two decades. The law also aims to protect water basins, which environmentalists believe, could be contaminated by mining. A national inventory of the country’s glaciers will also be created under the new law to study existing investment projects. President Cristina Fernandez had vetoed a similar law two years ago on the grounds it would hamper the growth of provincial economies. South Africa is planning to invest in a solar power energy park. The solar park will be built in the Northern Cape Province and generate 5,000 MW, about 11 per cent of the country’s current power capacity. 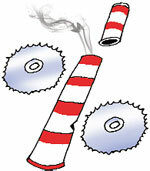 At present, most of South Africa’s electricity is generated from coal-fired power stations. It also supplies electricity to a few neighbouring countries. The country experienced undulating blackouts in 2008 and has been rationing electricity ever since. Georgia has blamed Russia for causing irreversible environmental damage in the Moscow-backed rebel Abkhazia region through its preparations for the 2014 Winter Olympics. Georgia has repeatedly raised concerns about the hosting of the Games in Sochi, 25 km from the border with Abkhazia. 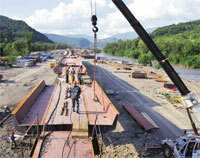 The country’s environment ministry said building materials such as rock and sand were being extracted from the coastal rivers of Abkhazia and Georgia, and exported to Russia to construct facilities for the Games. The extraction is causing washing-off of the coastal zone and degradation of the beaches. In August, questions were raised as to how millions of tonnes of construction waste generated at the Games site will be disposed. A group of 15 oil-producing countries has rejected a German proposal for a moratorium on deep-water oil drilling in the North-East Atlantic Ocean. Environmental groups said they were disappointed. Germany had suggested that offshore nations consider a temporary halt to the drilling of complex deep-water oil exploration wells in the aftermath of the BP oil spill, amid opposition from Norway, Britain and Denmark. A compromise that was adopted at a meeting recommended countries to review permits issued for “drilling activities in extreme conditions”. The meeting was attended by an EU Environment Commissioner along with envoys from Norway, Germany, Denmark, Britain, Belgium, Finland, France, Iceland, Ireland, Luxembourg, the Netherlands, Portugal, Spain, Sweden and Switzerland.